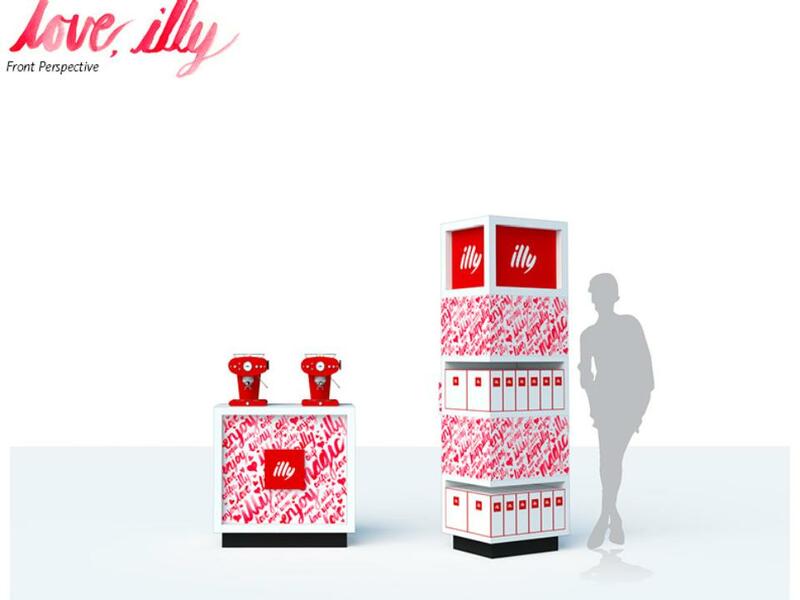 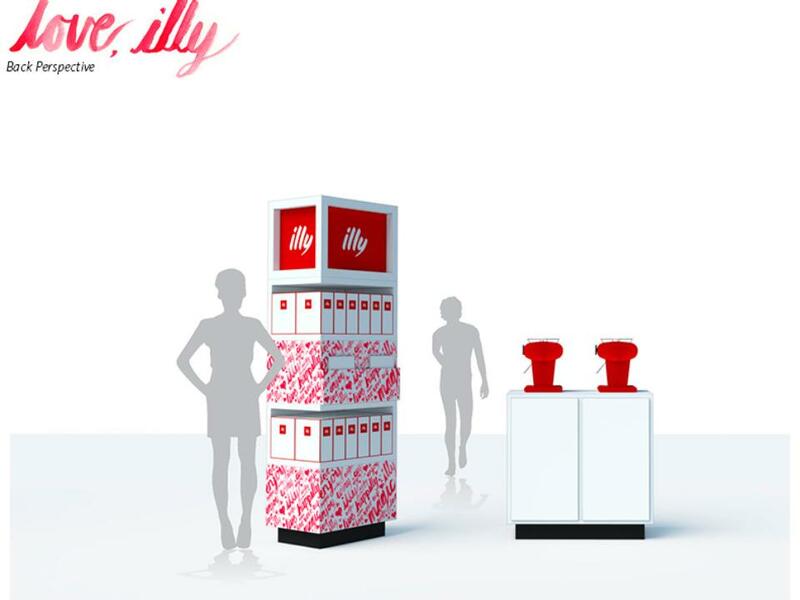 The “Love, Illy” display fixture emphasizes the playful & friendly attributes of the Illy brand. 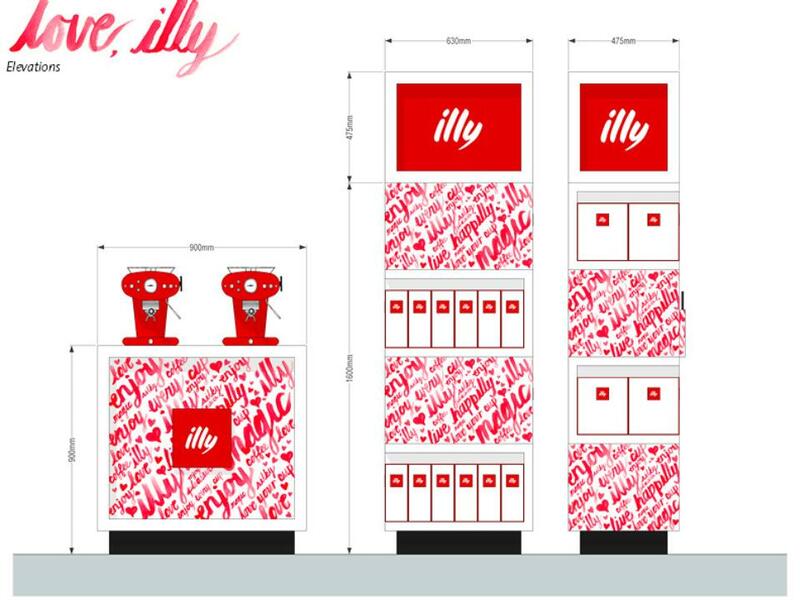 The design features custom watercolor artwork designed to initiate an emotional connection with consumers. 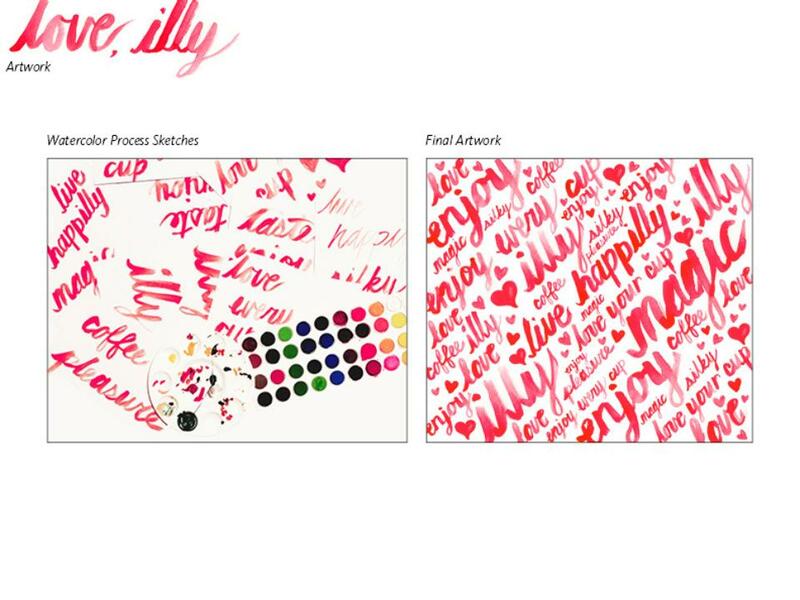 Handwritten typography offers the opportunity to deliver positive messaging and enhance the personality of the brand.